Dimension Data has confirmed that Mark Cavendish has extended his contract. The Briton has been in the team since 2016. Cavendish is considered the best sprinter in the current peloton and will also take part in a newly formed Supervisory Board. "After spending my last three years with Dimension Data I’m delighted to extend my contract, stay with the team that I love and people that I hold dearest to me in the sport," he said. "It’s also an honour to be part of a Supervisory Board that will work together to continue the growth of the team in cycling." Douglas Ryder, Team Principal, is glad about the news and its importance for Dimension Data, "Mark has made a significant impact in this team since joining us in 2016 - who’ll ever forget his four Tour de France stage wins to go with the yellow jersey as well as the green - and I am thrilled that he has agreed to continue with us and take on additional leadership responsibilities," he commented. "As a team, we believe in dreams and doing significant things both on and off the bike; and so we are extremely excited as to what 2019 and beyond will bring in terms of realising our full potential. Mark has a huge amount of experience which we will look forward to harnessing in all spheres as we continue to move forward in the sport." The winner of 30 stages at the Tour de France, 15 at the Giro d'Italia and three at the Vuelta a España aims to overcome the setbacks he had suffered in the last two seasons. "It’s no secret that both 2017 and 2018 have been very difficult years for me physically due to injury and illness," Cavendish explained. "The physical fatigue suffered as a result of the Epstein-Barr is terrible but the most difficult part was the impact on my job which is my life and passion; not being able to do that is very difficult to handle and it takes a mental toll on you." One of the objectives of the rider is to get to the 34 Tour de France stage wins. "The Tour de France record, it’s no secret that it’s the one goal that I have left in cycling. After winning 30 stages in my career another four doesn’t seem that much but I’ve always been the first one to say that winning one stage of the Tour de France is something that makes a rider’s career, so I know how difficult it could be to win another four; but I’m never going to stop trying. "I firmly believe that I will get it and I believe with the best people around me that I have the best chance of getting it. The day that I don’t believe I can challenge to get that record is the day that I probably stop riding my bike. It seems that I’ve always made a career out of comebacks and I’m sure that 2019 is going to be no different after the couple of tough years with illness. I know that I’m on the right track to come back and dominate in the sport again." Another important reason for the rider to extend his contract is the charity work the team does with Qhubeka. 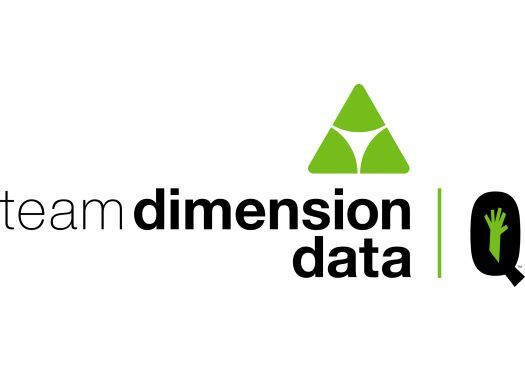 "The main reason that I joined Team Dimension Data in the first place is the Qhubeka charity and that’s something that grows within my heart every day," he affirmed. "To be able to put underprivileged kids in Africa on bicycles is something that sounds incredible but it’s when you really see it, it really grows on you. "You see the impact that it has on a kid, whether it’s being able to go to school or whether they just take the bike out and play with it, or whether it’s something that can be used for the family, it’s truly eye-opening. Something that I really look forward to every year is going to handover bicycles to a school."